I don’t distribute my music in any conventional way anymore, for a lot of different reasons. These days it’s “free mailing list only”. What that means, in a nutshell: if you’d like some music, send me an email, give me your mailing address if you’re comfortable sharing that information, and I will send you CDs. For free. Shipping is on me. If geography allows, I can meet you for a coffee or tea or some other beverage and give you the music in person. If you don’t want to do that but you live nearby, I can always just drop some CDs in your mailbox. It doesn’t matter where you are. I’ve sent CDs to people all over the place, whether they’re two blocks away, a few cities over, or halfway across the world from me. If you don’t specify which albums you want or you just aren’t sure, I’ll grab a stack of some of the most recent things I’ve done and send you those. Variety is the lice of strife, as they say. I’m not interested in selling my music. When I used to share it on a larger scale, the anti-commercial stance was interpreted as everything from a Marxist statement, to a criticism directed at the artists who do choose to sell their work, to the ill-advised pet project of a crazy person. It’s never been any of those things. It’s just the only way I’ve found to do this that feels right for me. Digital distribution doesn’t do it for me either, though I think it’s great that the tools exist for the artists who want to use them. I like tangible things. An album doesn’t feel real to me unless it’s a physical object I can hold in my hands. If you want to convert the songs into MP3s and listen on your computer or iPod once you have the CDs, that’s cool with me. 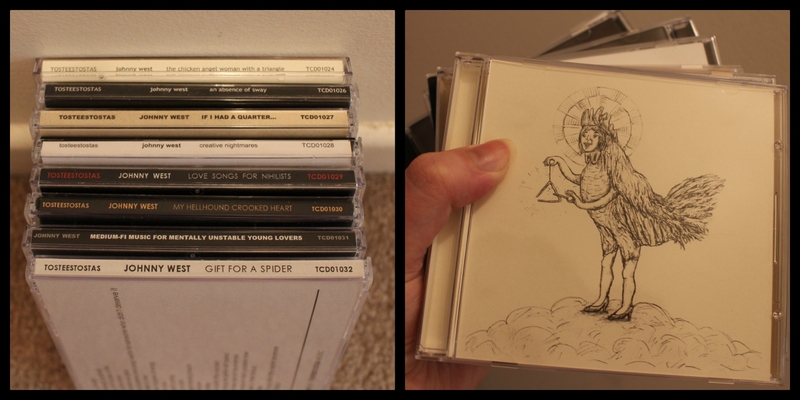 At least you’ve got the physical package with lyrics and the music at full fidelity as a starting point. And if you happen to play the music for someone else and they express an interest in it, I’d really appreciate it if you’d send them my way so I can give them the physical albums too. Also, if you already have any or all of these eight albums, the versions you have are flawed and I’d like to replace them. 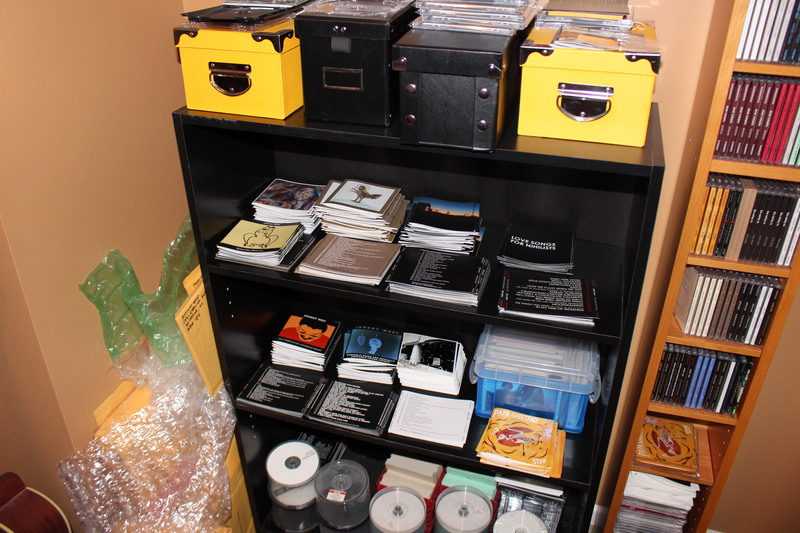 Somewhere around 2007 I started feeling self-conscious about people needing to turn my CDs up a little louder than most of the other post-1990s music in their collection. I decided to push things at the mastering stage to compensate. I got the albums I made in that time about as loud as anything else out there. The tradeoff was some nasty digital distortion in places where none ever should have been allowed to live. I was okay with it for a while, until I wasn’t anymore, and then it bothered me for a long time. Going back and undoing all the damage I did was long overdue. While it was slow, sometimes tedious work, in the end it was worth it. One other thing — if you ever come across anyone selling any of my music in any format, please let me know so I can bring a stop to it. My music is not for sale. I don’t make it to generate money or attention. I make it because I need to make it to feel whole. If anyone ever tries to make you pay for it, they’re acting without my knowledge and against my wishes, and they’re defiling everything I stand for. They’re also pocketing whatever money they make for themselves. sending some love to johnny west! Love for me? Well, thank you kindly! Hi Robert! Thanks a lot for the kind words. I’d be glad to send you the whole album that song’s on, if you’d like.